Timney Triggers, one of the biggest name in the world of aftermarket drop-in triggers for just about every long gun out there, is expanding their offerings for 2014 with new triggers for Mossberg ATR, Remington Model Seven and IWI Tavor rifles. The company is expanding their line-up for these guns based on customer feedback. Simply put, users asked for ATR, Model Seven and Tavor triggers and Timney is delivering. This announcement will put an end to several rumors and is especially welcome news for IWI Tavor owners. The new bullpup design has been an instant success but it has a relatively long, heavy trigger, even by military rifle standards. All three new triggers will be popular as these guns have been solid sellers but generally have limited aftermarket support. And even though the Mossberg and Remington come with adjustable factory triggers, there is always room for improvement. The triggers for the bolt-action rifles are of the adjustable, single-stage type and can be set to break with trigger pulls ranging from 1.5 to four pounds. They’re expected to function like other Timney triggers with minimal take-up, a solid break and no overtravel. The Mossberg trigger has a suggested retail price of $120 with a matte finish and $130 with a nickel finish. The Remington trigger is a little more expensive at $135 for the matte and $145 for the nickel. The Tavor’s trigger is a fixed, four-pound, two-stage trigger. While that might not sound like much it is a significant improvement over the factory trigger which has a revolver-like pull that weighs in around 11 to 12 pounds. And while there are some homebrew fixes for the Tavor’s factory trigger, people will be more than willing to purchase a trigger that was designed from the ground up with a lighter trigger pull and predictable break. Like the bullpup itself, the Timney Tavor trigger will run a price premium with its $353 sticker. But given the significant improvement it promises there’s no doubt that Timney will sell these to Tavor owners looking to get the most out of their rifles. The Tavor is an Israeli military bullpup that has only been on the market for a few months, but it is already one of the most popular and successful bullpups on the market. Chambered for .223 Remington and 5.56 NATO, the Tavor uses AR-15 magazines and can be configured for right- and left-handed shooters. The Remington Model Seven is a compact “woods gun” designed to offer significant weight reduction and faster handling than the more commong Model 700. Because of differences in their receivers, the Model Seven does not have 100 percent parts compatibility with the 700. The Mossberg ATR is a increasingly-popular entry-level bolt-action rifle for hunters and target shooters alike. Available in many calibers and configurations, the Mossberg ATR has many features usually reserved for more expensive rifles. 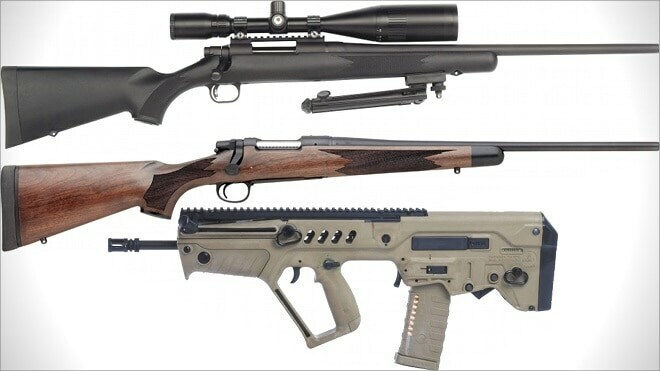 These guns do stand out; they’re quality rifles. But come 2014 when these triggers hit the market, they will stand out even more. 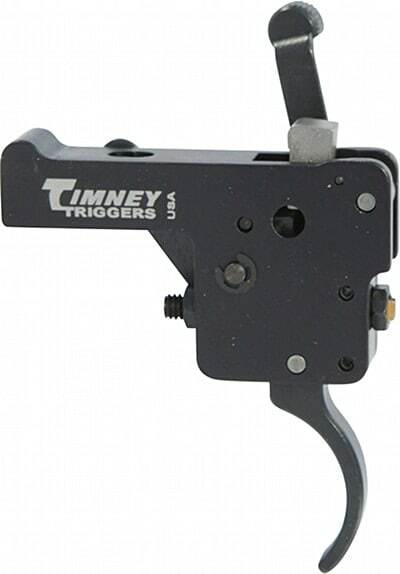 If you would like to know more about Timney Triggers, for these and other firearms, head over to the company website.